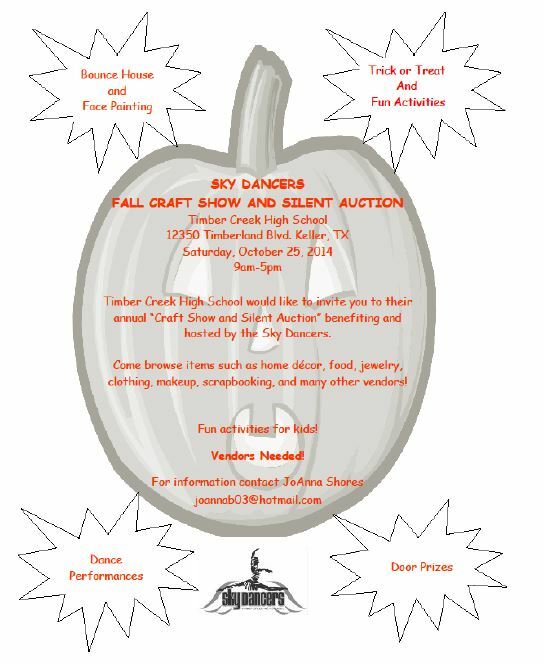 The Sky Dancers Fall Craft Show & Silent Auction will be held at TCHS on Saturday, October 25, from 9:00 am – 5:00 pm. Come browse items such as home décor, food, jewelry, clothing, makeup, scrapbooking, and many other vendors. There will be fun activities for kids (trick or treat, bounce house, face painting), dance performances, and door prizes.